Aside from the March launch window, the only thing we now know about the NX is that it will be released alongside Nintendo’s upcoming, still unnamed Legend Of Zelda game. 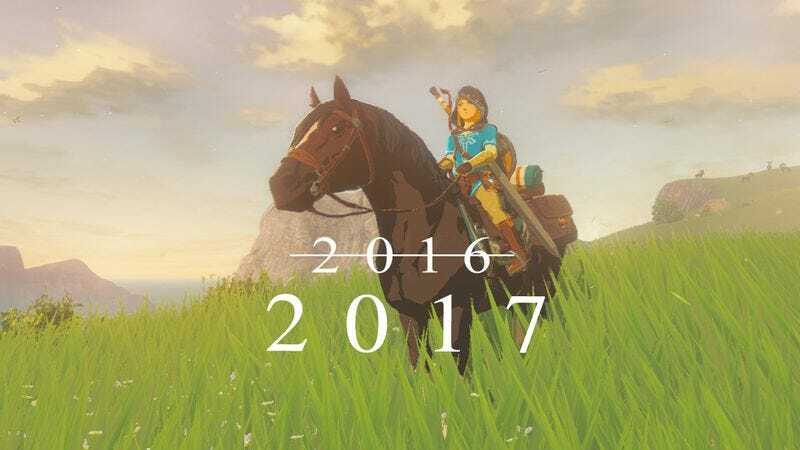 Originally scheduled for 2015, this new Zelda will now be simultaneously launching on the NX and Wii U next March. And while the NX might be skipping out on E3, Zelda will be there in full force. In fact, according to Nintendo, the Wii U version will be the only playable game the company brings to the show. You’ll be missed, Paper Mario: Color Splash. Also in this morning’s announcement was mention of Nintendo’s next mobile games. While its first experiment in the field, Miitomo, turned out to be more of a wacky social networking app than a game, the next two will be extensions of pre-existing series. One will be a “more accessible” take on Fire Emblem and the other will be based on Animal Crossing. In the latter case, Nintendo promises some sort of connectivity between the mobile Animal Crossing and the versions on its dedicated game systems. Whether that means a new Animal Crossing for NX is on the way or the interactivity will be retrofitted into 2013’s Animal Crossing: New Leaf remains to be seen.